Mesothelioma is a deadly type of cancer and there are limited treatment options available to victims who suffer from this serious medical condition caused by asbestos exposure. With thousands dying from mesothelioma each year, and the high rate of deaths likely to continue as people who were exposed to asbestos at work decades ago continue to get sick, research into treatments for this aggressive cancer are very important. Unfortunately, our Boston mesothelioma lawyers know that the Sequester is endangering an important program that is designed to facilitate mesothelioma research. The Sequester refers to an arbitrary cut of the government’s budget that went into effect when Democrats and Republicans were unable to come to a budget agreement that would cut the deficit. When the Sequester was originally proposed by President Obama, both Democrats and Republicans expected that the threat of the Sequester cuts would force some type of agreement to be reached. Unfortunately, instead, these across-the-board cuts that no one wants have now taken effect and are endangering research that could help improve quality-of-life and outcomes for asbestos victims. 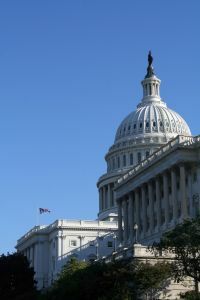 According to PR Web, the Sequester could cause potential setbacks in mesothelioma research by closing the National Mesothelioma Virtual Bank (NMVB). The NMVB is the only federally-funded program that is specifically designated to research mesothelioma. It includes a virtual tissue bank and is part of a partnership between the Mesothelioma Applied Research Foundation, the University of Pittsburg, the Mount Sinai School of Medicine, the University of Pennsylvania, and New York University. The NMVB currently has more than 1,200 patient specimens in its virtual bank that researchers can access. The NMVB has been instrumental in helping to make strides into mesothelioma research. Unfortunately, the program recently saw its funding cut because of the Sequester and the funding cuts were devastating to the program, leaving the executive director indicating that there is a very real risk that the program could be obliterated. The NMVB is a virtual biospecimen registry that was housed at the University of Pittsburg and that is available to mesothelioma researchers across the country. It is a public registry and was in the seventh year of operation when the sequester hit. The registry had received a Federal Funding Notice of Award that stated that it would continue to be funded until August of 2016 as long as funds remained available. Unfortunately, in August, the physician and Ph.D. in charge of the NMVB received less than 30-days notice that funding was being cut. The fiscal management team of the Center for Disease Control and Prevention (CDC) delivered the news of the funding cut without any input from the program officers who were responsible for managing the NMVB. Because of these cuts, investigators will be able to request the use of biospecimens only until August 31, 2014. The NMVB is under a no-cost extension until that time. Unfortunately, without another funding source, there may be no future access for researchers after this time. Mesothelioma, Pre-Existing Conditions and the Affordable Care Act, Mesothelioma Lawyers Blog, October 18, 2013.